The best pie pumpkins are small, sweet and starchy, with few strings and a dry flesh, according to The Daily Meal. Pie pumpkins generally are not as big as those people use for Halloween carving, with most measuring around 7 inches in diameter. There are more than 40 varieties of pumpkins. The smaller ones, such as the Baby Bear, New England Pie and Baby Pam, make sweet, dense fillings for crusty desserts. Pie pumpkins are fall crops that are available in groceries and farmers markets from around September to December. The best pie pumpkins are firm to the touch and contain no bruising. 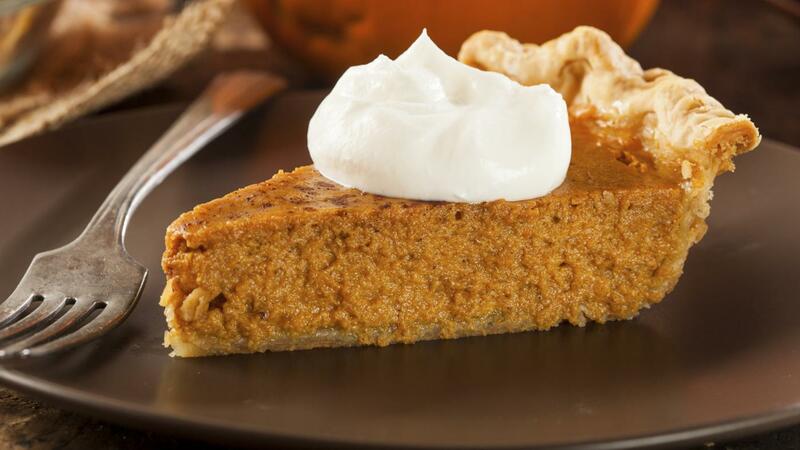 If using a jack-o'-lantern-style pumpkin to make a pie, adding 25 percent more sugar and using a food processor provides the pie with a creamier texture. How Do You Cook Bok Choy? How Long Do You Cook Broccoli Rabe? At What Temperature Should You Bake a Potato?